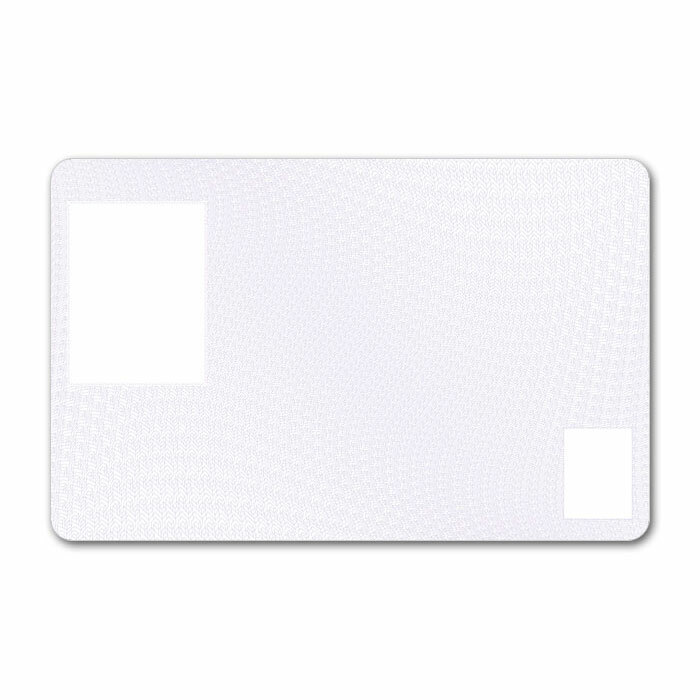 ReadyStart Secure Cards are a family of pre-printed ultra-high resolution security background plastic cards that enable a rapid start in the physical security, personalization and issuance of smart card and eID Credentials. 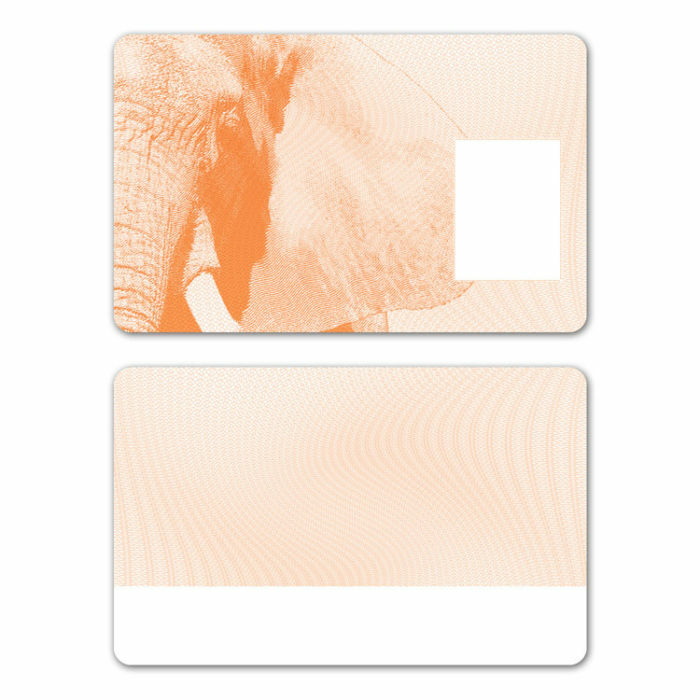 ReadyStart Cards reduce the time and expense of card graphics design and printing, and provide an automatic, high resolution graphic background on the card. 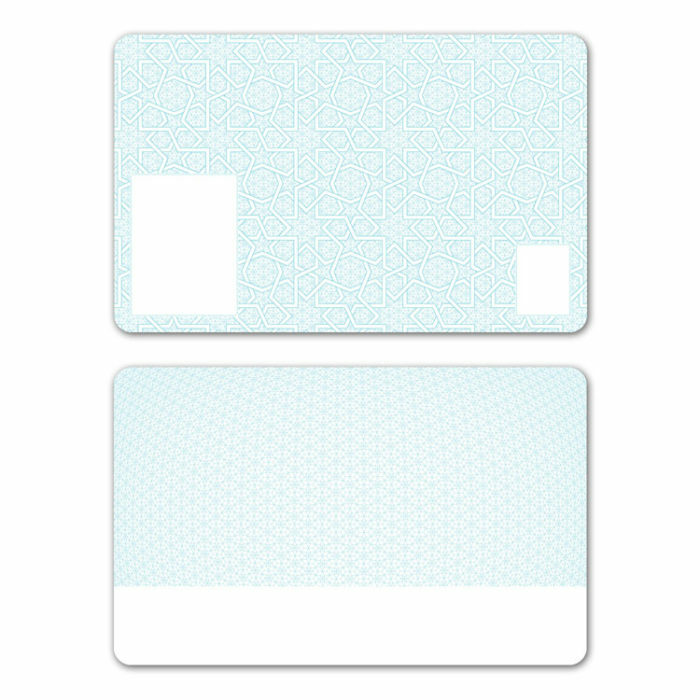 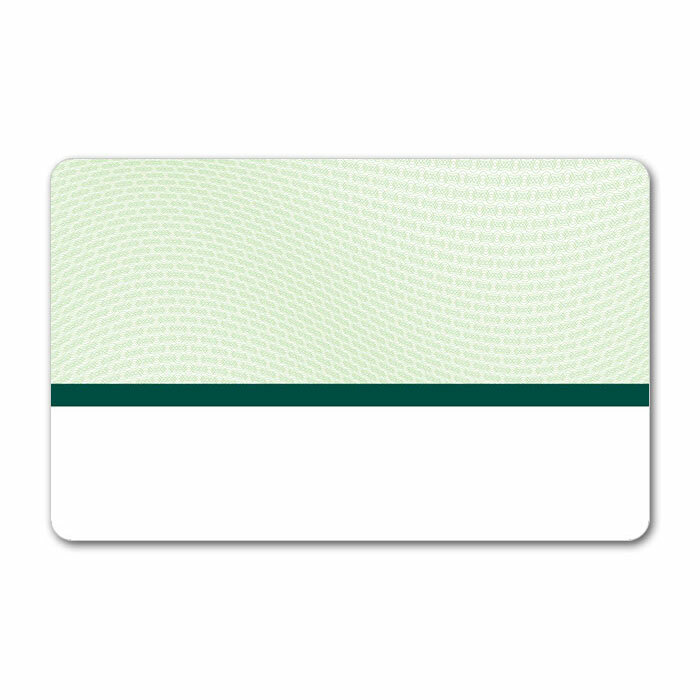 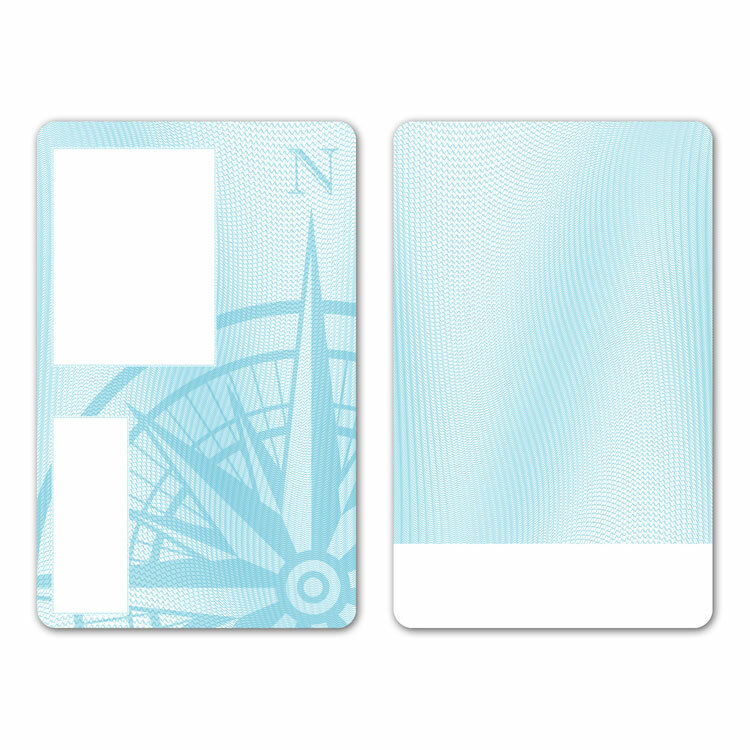 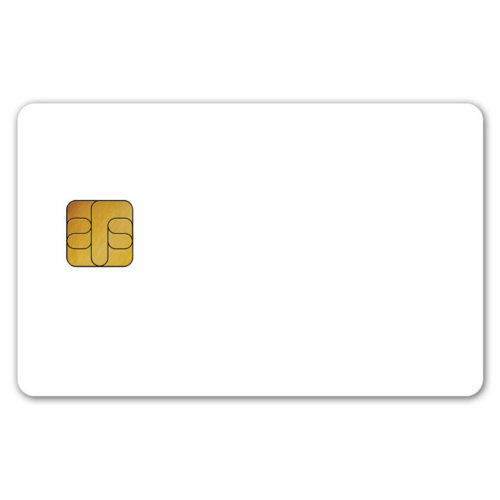 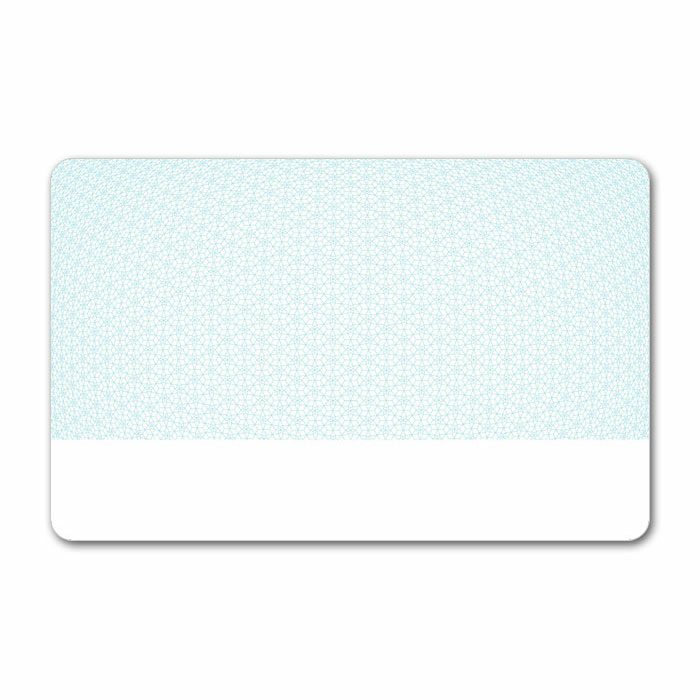 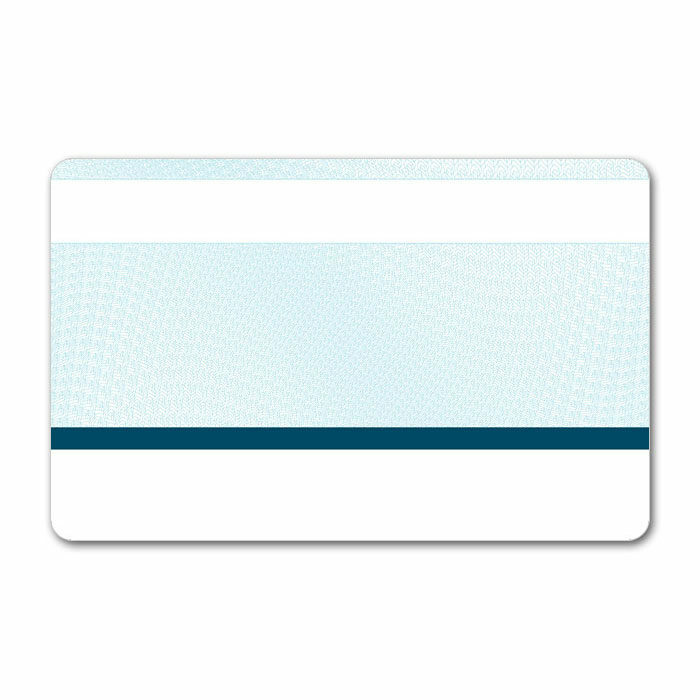 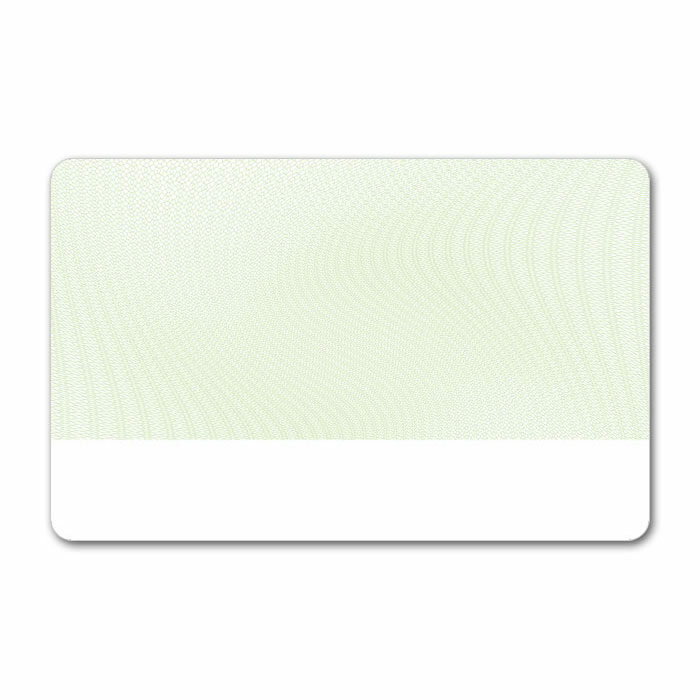 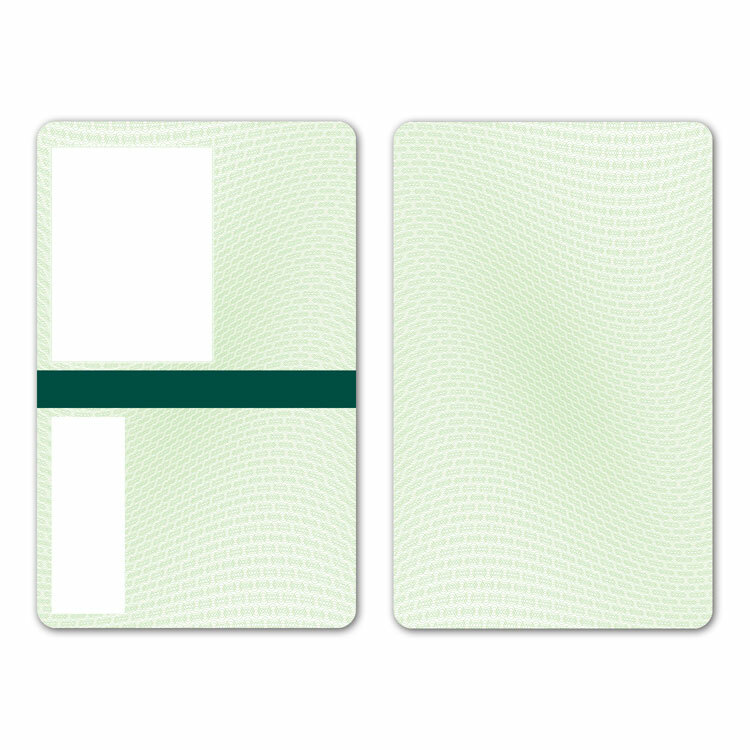 ReadyStart Secure Cards include a growing selection of professionally designed, 2400 dpi security graphic backgrounds. 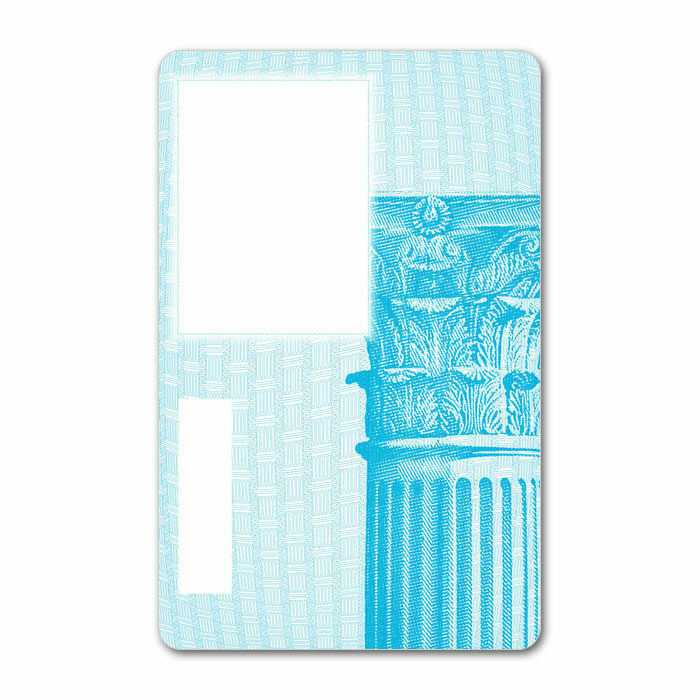 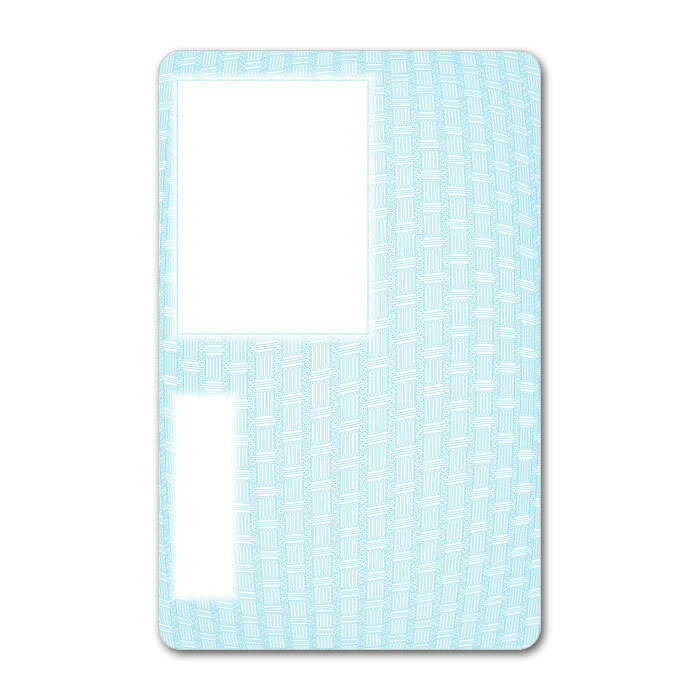 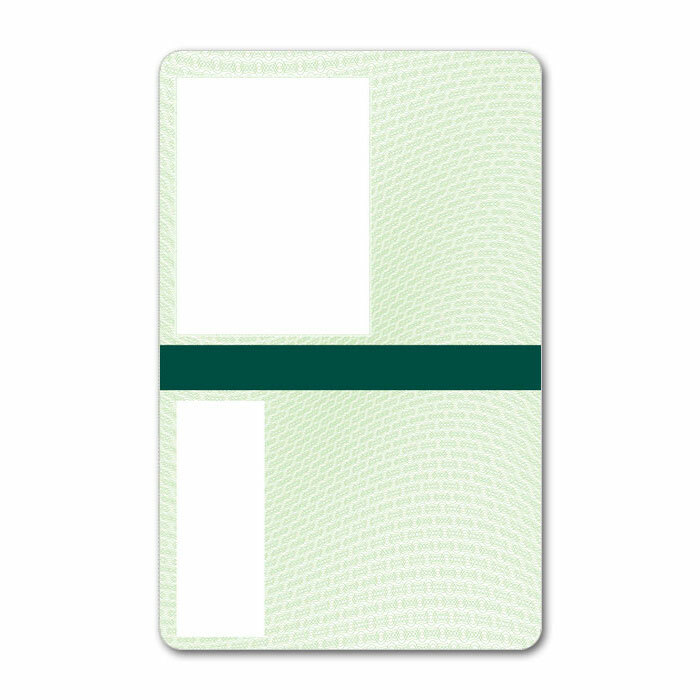 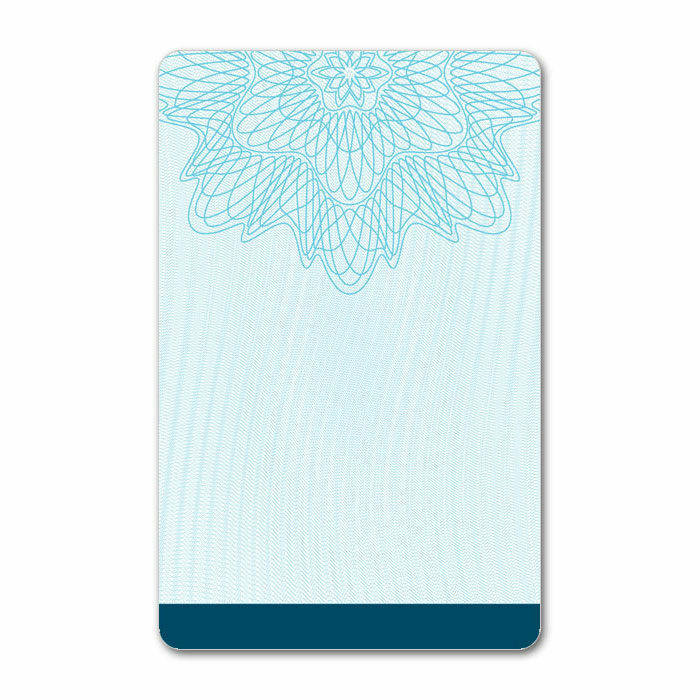 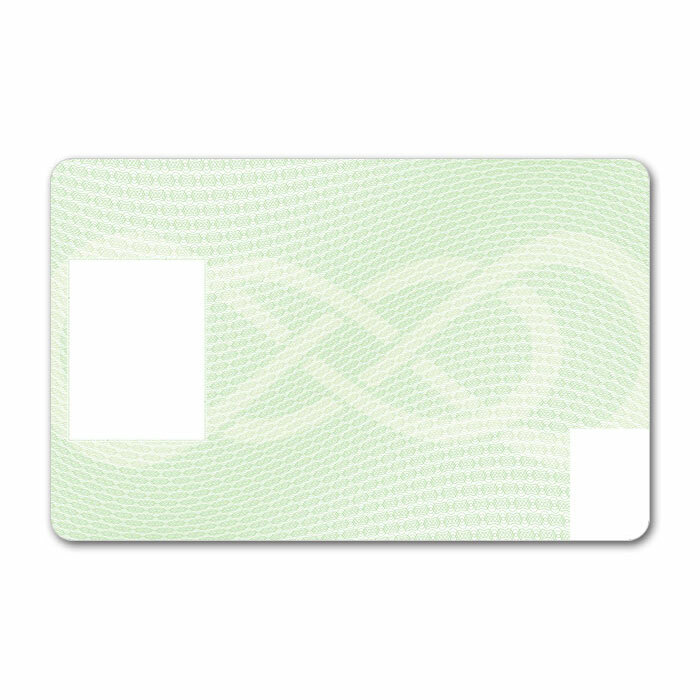 The cards are available in a variety of impressive, generic and market-specific designs most commonly used for Identity Credentials with a combination of unique security graphic elements, such as Microtext, Guilloche, hidden Card Validator® text laser engraving and UV printing. These security graphics automatically add multiple layers of protection against card duplication and fraud. 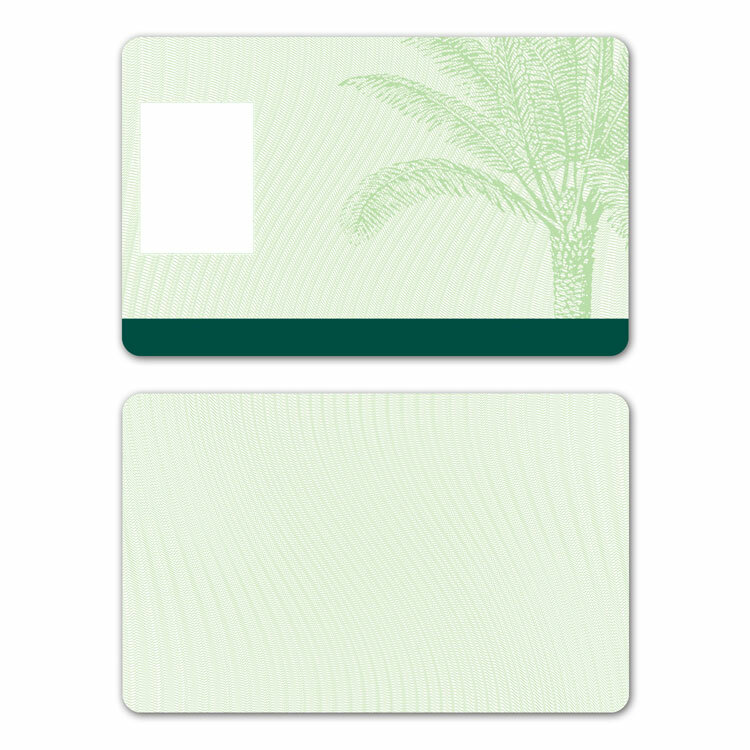 Improving your card’s physical security is a crucial factor while designing a trusted eID card program. A card that includes high security graphic printing significantly reduces the risk of fraudulent card duplication, preventing criminal attempts to pass as the authorized card holder. ReadyStart Secure Cards combine a mixture of Microtext, Guilloche, Intentional Error, Hidden Validator®, UV printing and laser engravings onto one ReadyStart Secure Card, creating the ultimate barrier to fraudulent card duplication. Microprinting, also known as nanoprinting, is a printing technique that creates a faint line, composed of very fine text. 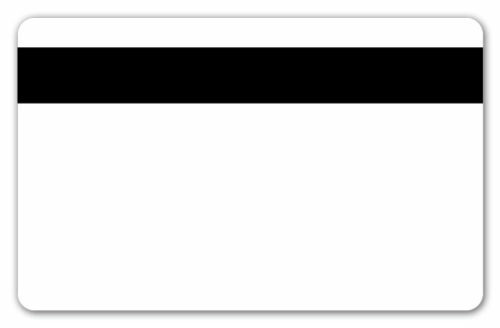 This text is only clearly legible through a magnifying glass or microscope. 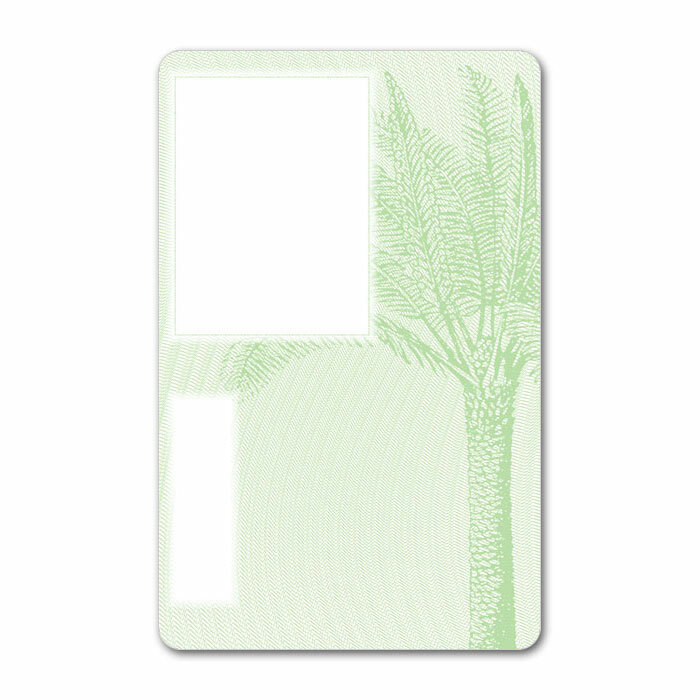 It is impossible to reproduce using conventional scanners and desktop card printers. 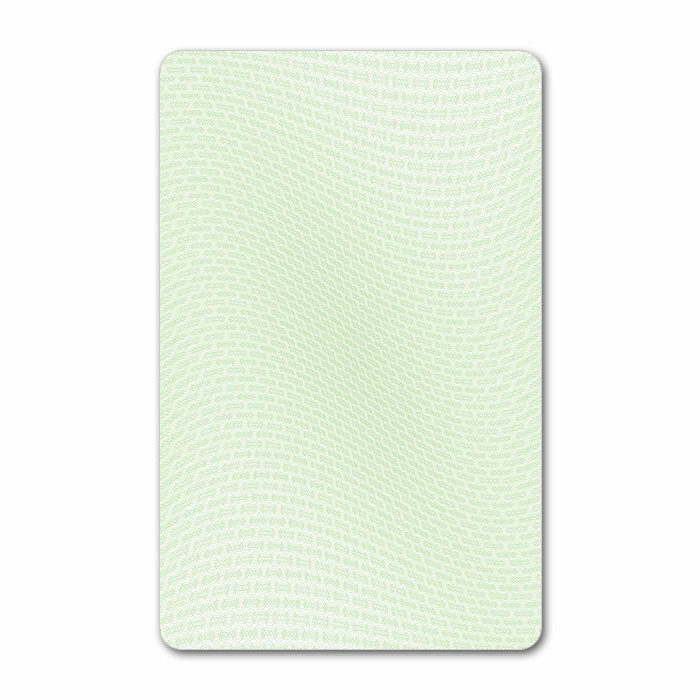 Guilloches are complex geometric patterns that consist of numerous interwoven fine lines. Because each pattern is uniquely generated, exact reproduction is nearly impossible. Hidden Images are mathematically buried in the printed card and can be viewed with CardLogix’s Card Validator® lens. 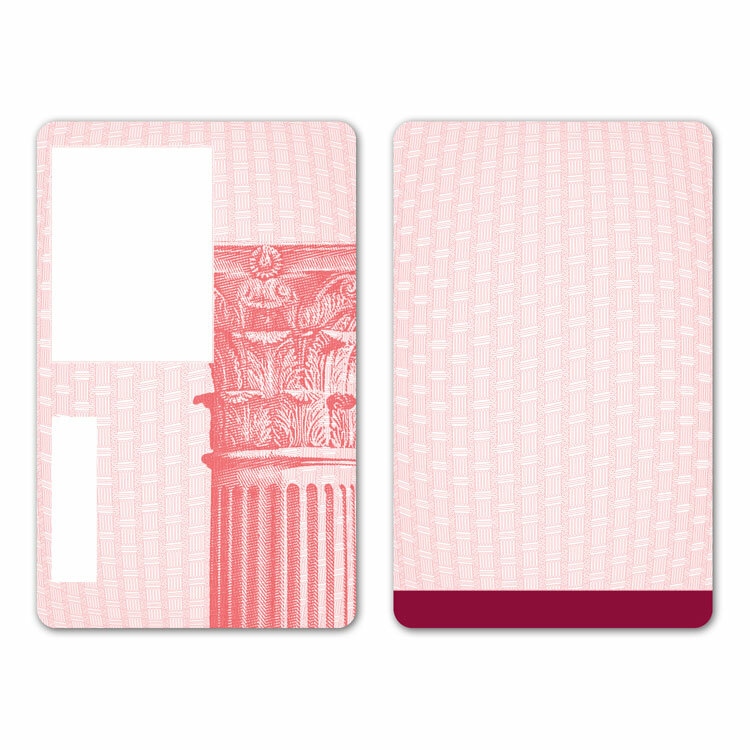 Because of the fine detail used to generate the hidden images, they cannot be scanned, copied, or reproduced. 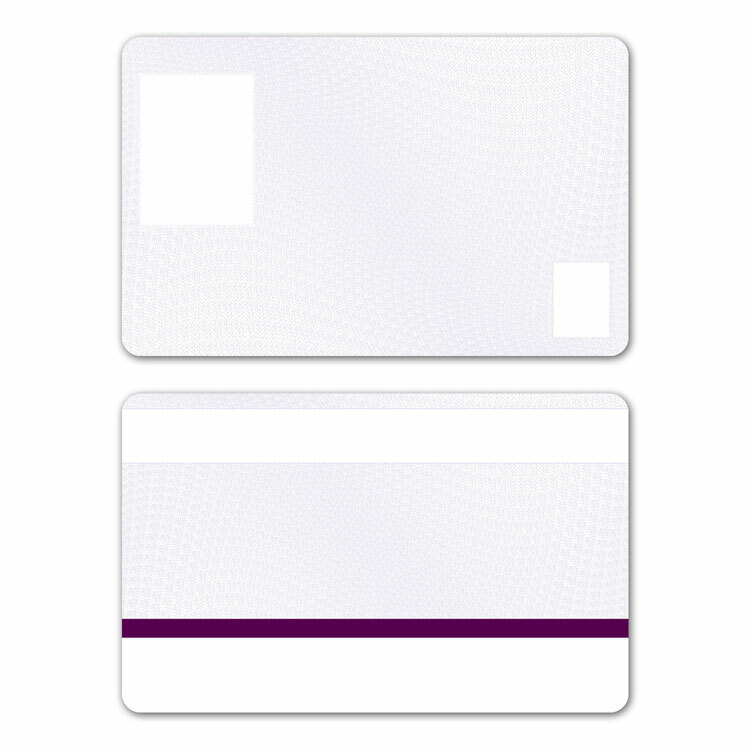 For an additional layer of physical card security, combine your ReadyStart Secure Card with one of CardLogix’ Holofoil Card designs. 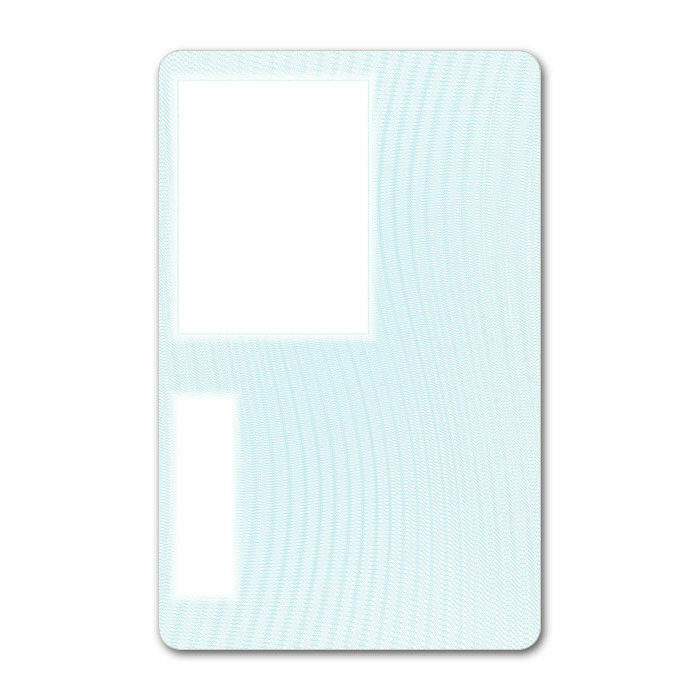 Holofoil Cards use pre-stamped, professionally designed hologram images. Designing custom security graphics can be costly and time consuming. 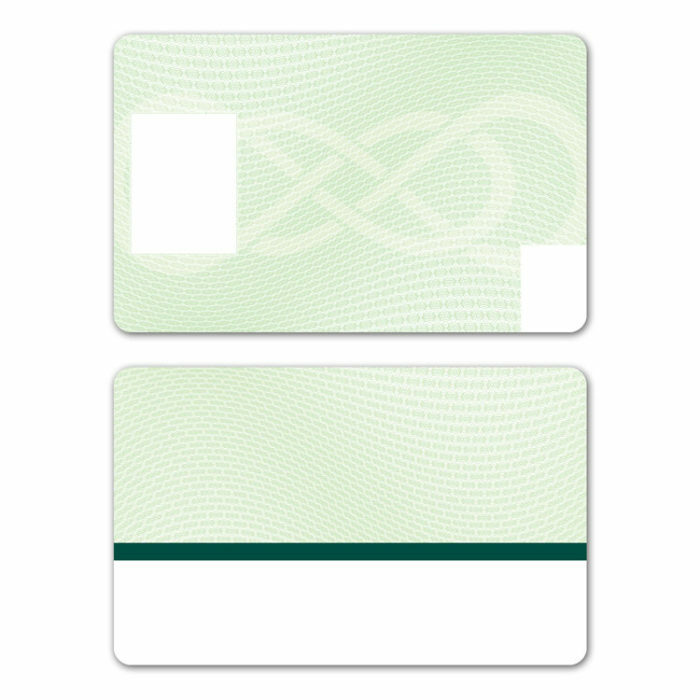 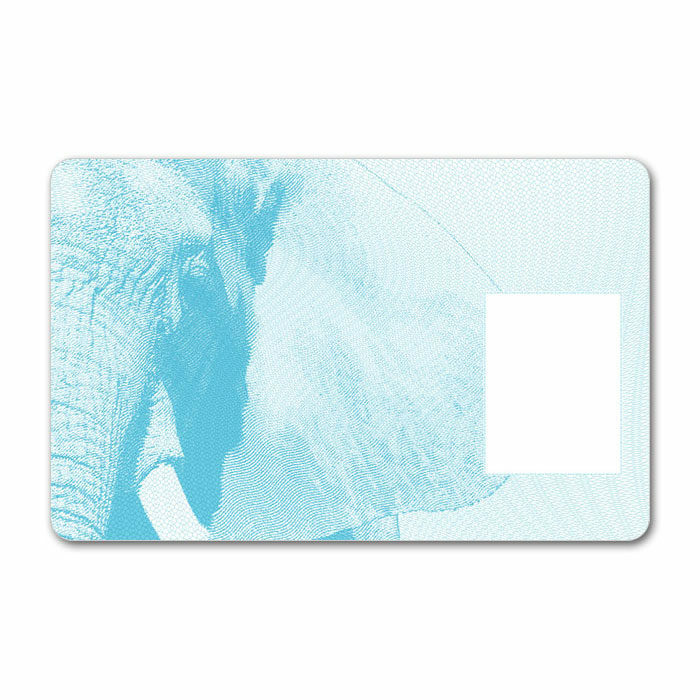 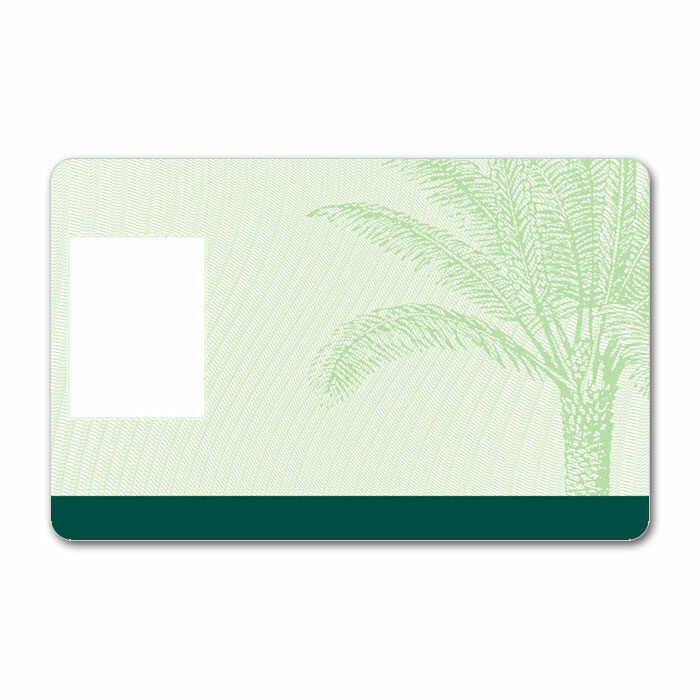 ReadyStart Secure Cards allow you to choose from an extensive list of pre-designed ultra-high resolution graphic backgrounds so that you can benefit from the added security of security graphic printed cards sooner and more cost-effectively. ReadyStart Secure Cards meet government and industry standards for card graphic layout and card substrates. 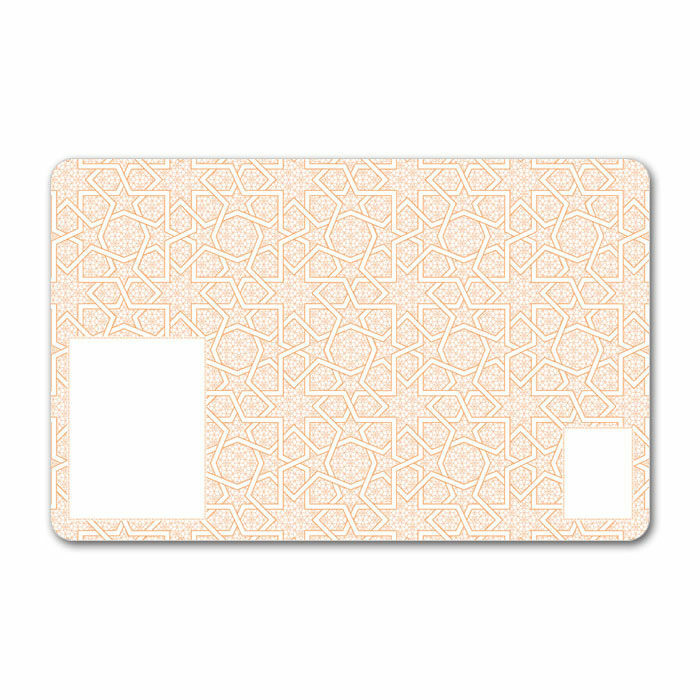 ReadyStart Secure Cards provide a secure foundation for eID card and smart card personalization. 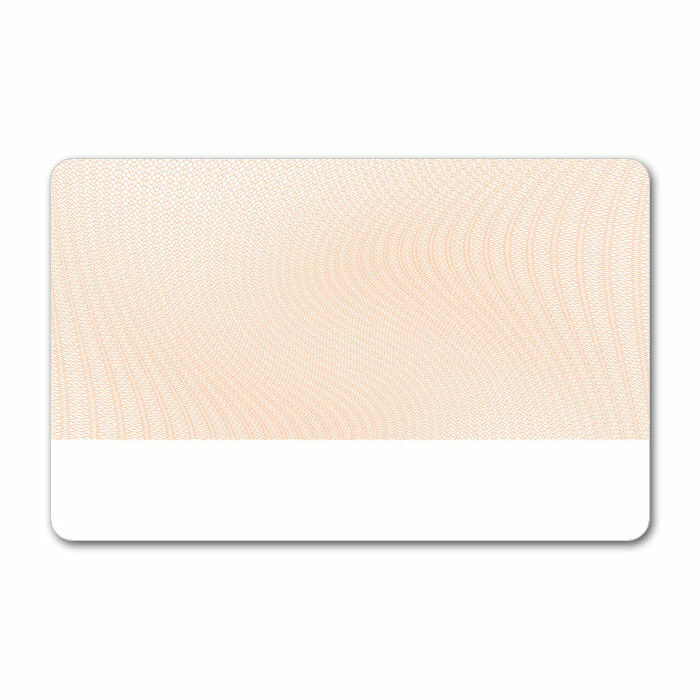 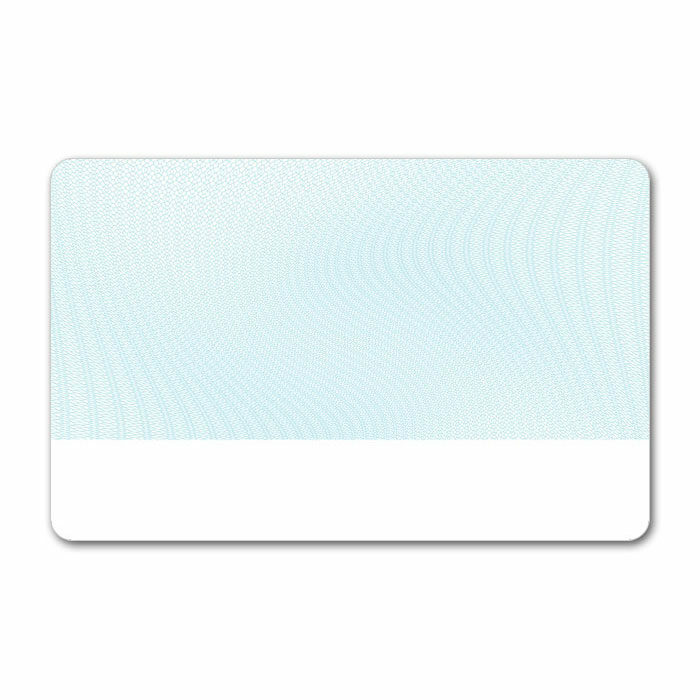 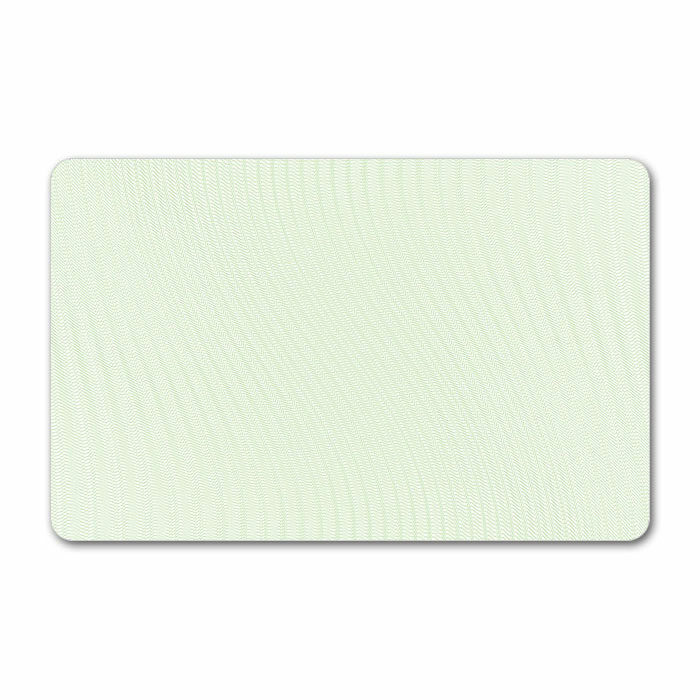 Upon receiving your pre-printed ReadyStart Secure Cards with embedded smart card chips and/or magnetic stripes (magstripe), use the Card Encoding Engine to personalize your cards over the security graphic background. 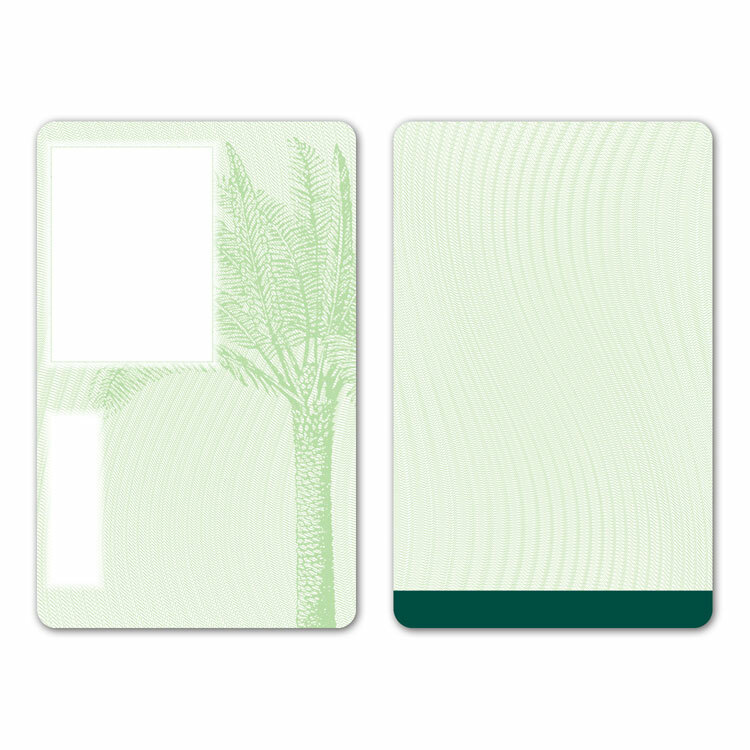 The Card Encoding Engine allows you to select your pre-printed ReadyStart design and layout under the graphic template options so that you can visualize your card’s layout and graphically personalize it the way you want. 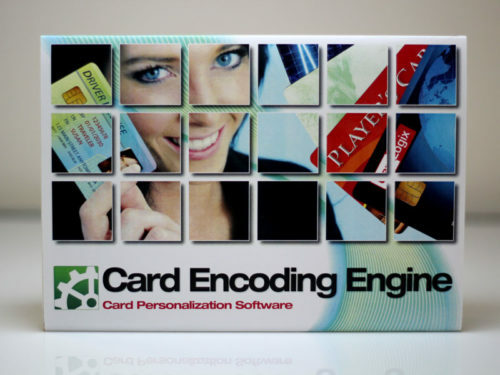 Read the Card Encoding Engine brochure to learn more about Card Encoding Engine, the first card personalization software tool that provides smart card encoding without requiring API programming. 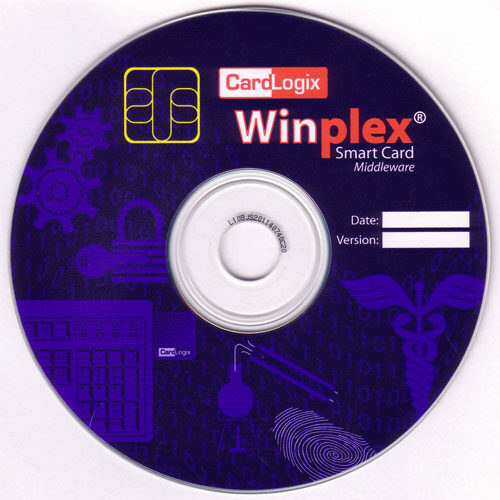 Learn more by reading CardLogix case studies.